While I generally do not fear bugs, when it comes to this 8 legged creepy crawlie I am terrified at the sight of them. And I swear they know it as they do have a tendency to go straight at me. My rational inner voice tries to fill me up with reason, as we live in an are where there are 0 poisonous or dangerous spiders, but the irrational phobia always wins. It is one of the fears I hope I will overcome someday (I did make progress from childhood where I couldn’t even touch a picture of a spider, but now I can tolerate incy wincy ones – like micro ones). I do not hate spiders, I do think they are cool… From a far, very, very far. 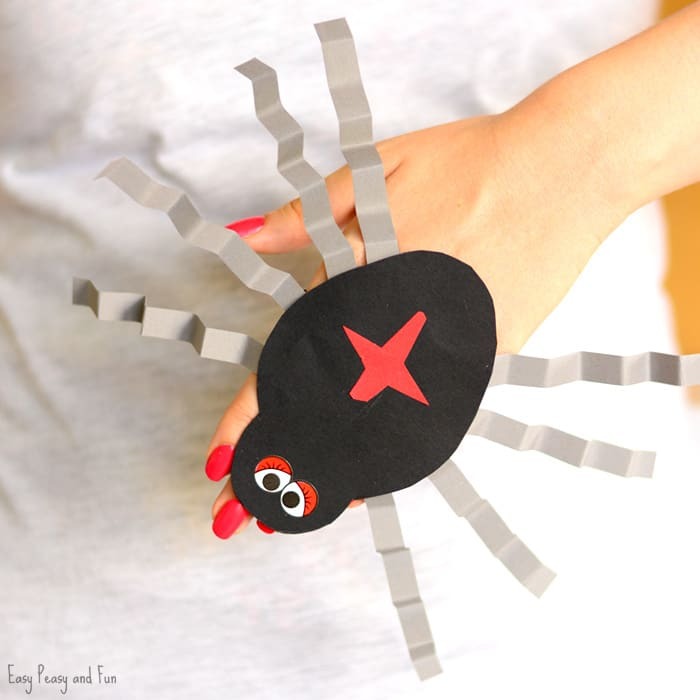 But this adorable spider paper hand puppet is completely different… And completely scare free! It’s silly legs will wiggle around as you move it. Ready to make one? 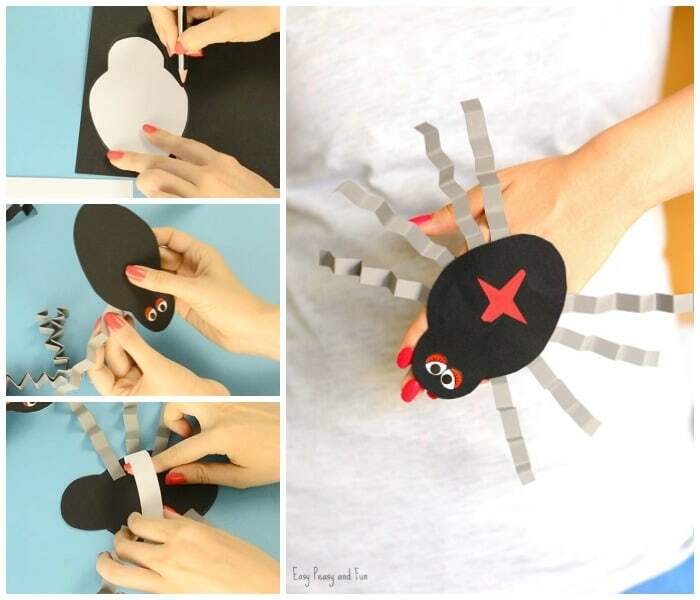 Go freestyle of use our template (you can find it at the end of this tutorial) and let the creepy crawly fun begin! Optional wiggle eye stickers and glitter, as usual. 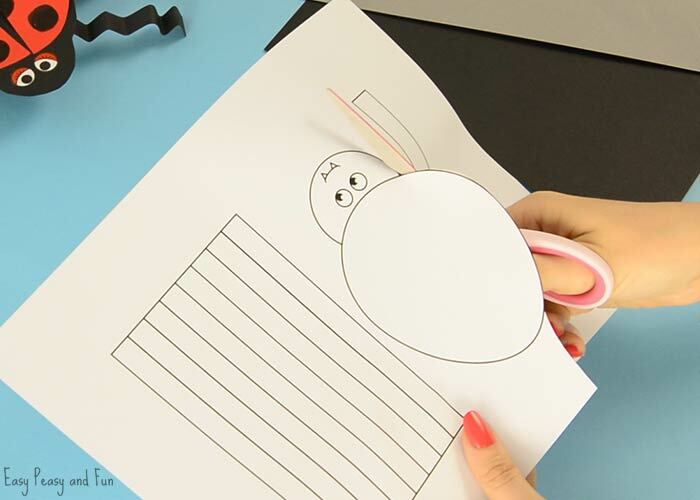 Print out or spider puppet template. Any type of paper is fine (we do recommend heavier paper if you are going to color it with markers though). 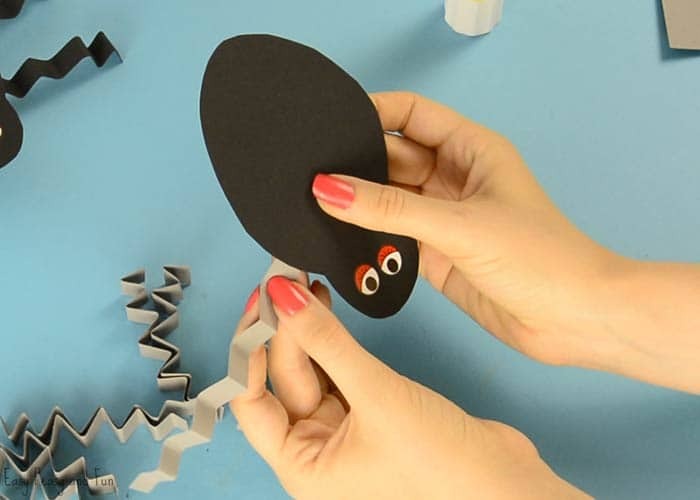 If you will be coloring in your spider puppet we recommend you color it before cutting, as it will make things easier. 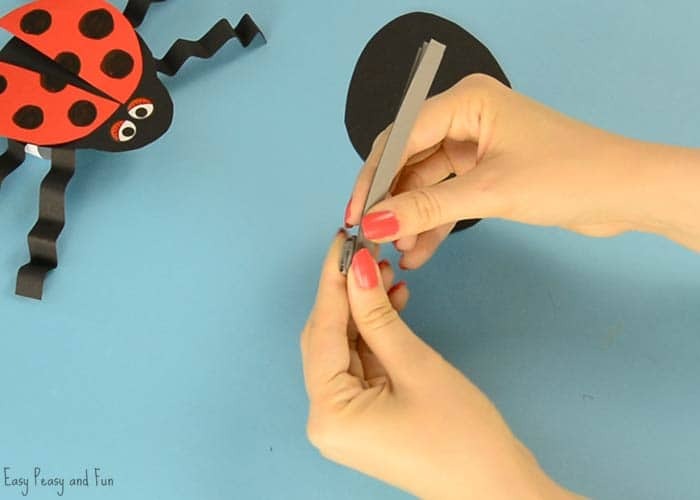 Cut out the spider parts. 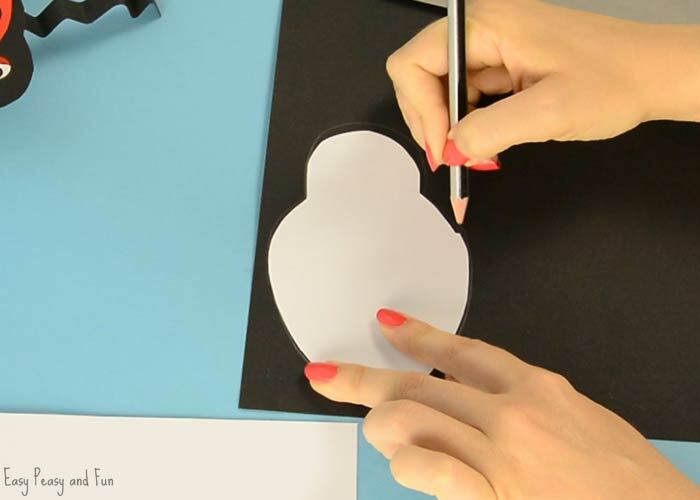 Trace the body shape onto black paper (construction paper is best). 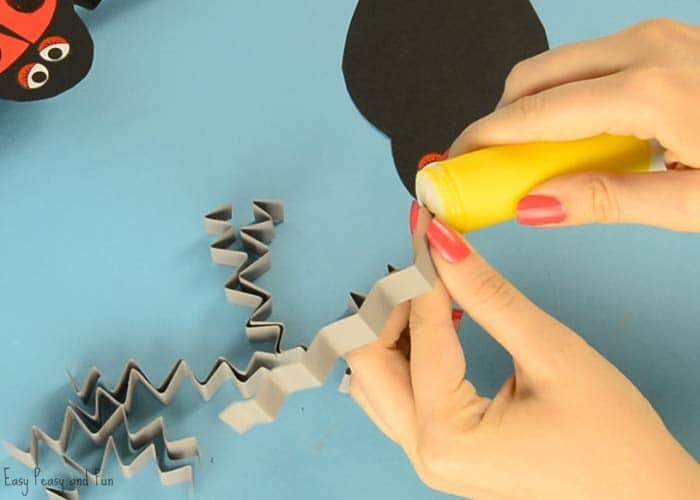 Trace and cut legs out of gray paper. 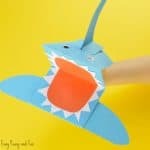 Fold the legs – zig, zag accordion fold – this will make them look funkier. Glue the legs on the bottom side of the body. 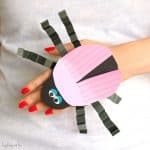 Totally optional, but it does add to the scary factor of this spider – you can add a little red star cross shape or any other spidery decorations. 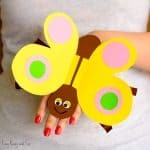 Add the strap for the hand and you are done. 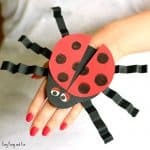 I do hope you and your kids have enjoyed this craft idea and that you will snap and share a photo (or a video with us) on any of our social media channels or email (tag on IG @easypeasyandfun or #easypeasyandfun).